BSA’s 103rd anniversary with Scout Shabbat Services. Religious service during the month of February. Who: All Scouts including Scouts BSA, Cub Scouts, Sea Scouts, Venturers, and their families. Nothing will be available for purchase on Shabbat, must pay before arrival. Cost: If you are just attending its FREE!!!. 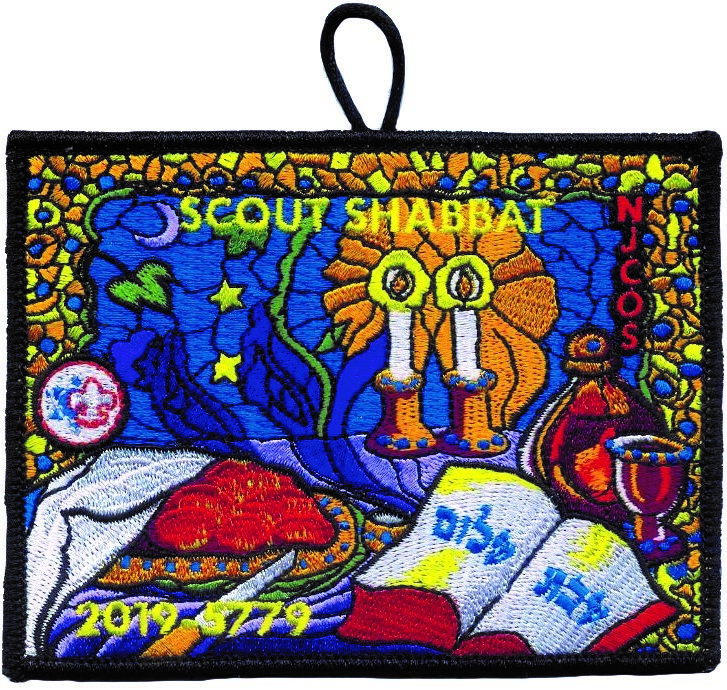 If you enjoy patches and would like to purchase the 2019 Scout Shabbat Patch, it will be available for $5.00 per patch. 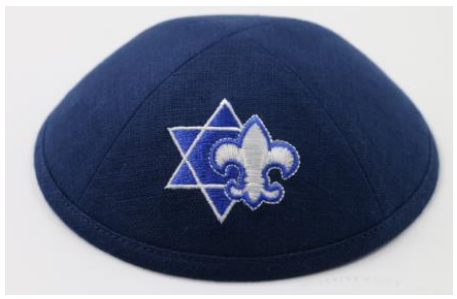 Kippah will not be available for delivery until after the event but are available for pre-order for $10. Orders can be placed using the link below. Scouts should wear Class A uniforms, sashes and any Scouting religious awards earned. Scout Shabbat is open to the entire community. All religions welcome. Refreshments will be provided after the service. Scouts can obtain the patch via the National Council on Jewish Scouting’s website under Shop or by contacting Charles Pickering. They will be on a first come first serve basis. They will not be available for sale at the service. This is out of respect for the Temple. Sponsored by Temple Beth Israel, the San Gabriel Valley District, Troop and Pack 818. The event is free so if you need to cancel please notify us but there will be no refunds available on patches.